A 33-YEAR-OLD man has died after being mauled by a shark on Monday afternoon, in the same harbour as two previous attacks in the past two months. The Victorian man, who was on a charter boat with friends, was swimming in Cid Harbour about 5.30pm when he was attacked, not far from where a woman and a schoolgirl were mauled in separate incidents on September 19 and 20. The victim of the Monday attack suffered a bite to his left thigh, right calf and "a ­defensive wound" to his left wrist. He was flown to Mackay Base Hospital in a critical condition. A rescue helicopter was called to the scene just before nightfall, landing on the foreshore of Whitsunday Island to assist. The on-board paramedic was taken to a nearby boat where the injured man was being treated. RACQ CQ Rescue crewman Ben McCauley, who also attended both September attacks, said they arrived at the yacht about three minutes after disembarking the aircraft. He described the scene and the man's injuries as "absolutely horrific". "He'd suffered very serious bites, significant blood loss as well as cardiac arrest and when we arrived he was already being treated by a paramedic from Hamilton Island, two off-duty doctors and an emergency department nurse from other nearby vessels." In less than 45 minutes, the critically ill man was resuscitated twice and transferred by tender back to shore, accompanied by the paramedic and rescue crewman. UPDATE 1.30am: A MAN has died after being mauled by a shark on Monday afternoon, in the same harbour as two previous attacks in the past two months. The man, believed to be in his thirties, was understood to have been swimming in Cid Harbour about 5.30pm when he was attacked, not far from where a woman and a schoolgirl were mauled in separate incidents on September 19 and 20. The victim of the Monday attack suffered a bite to his leg and "a ­defensive wound" to one of his wrists. News Queensland understands the man suffered major blood loss in the attack. Police confirmed the man, 33, had died from his injuries in hospital last night. UPDATE: 11.59pm: A MIDDLE-AGED man suffered "absolutely horrific" injuries in a shark attack at Cid Harbour in the Whitsundays - the third mauling at the location in less than two months. An RACQ CQ Rescue helicopter arrived at Mackay Base Hospital with the critically injured man, thought to be a tourist, about 8pm on Monday. The man was swimming in the harbour off Whitsunday Island about 100 kilometres north of Mackay when he was attacked about 5.30pm. He suffered horrendous injuries, including bites to his left inner thigh, right calf and left wrist, according to RACQ CQ Rescue. The attack comes after Tasmanian woman Justine Barwick, 46, and Melbourne schoolgirl Hannah Papps, 12, were both severely injured in shark attacks which occurred within a 24-hour period at Cid Harbour on September 19-20. Shortly after the latest incident, the service's rescue helicopter arrived at Whitsunday Island on dusk and its crew embarked on a "complex retrieval scenario", with the light fading fast. Initially, radio contact could not be made with the vessel which the shark attack victim had been travelling on and the patient was unable to be winched to the chopper. "The helicopter crew decided the most efficient way to offload the medical team was for them to perform a hover dismount on the sand on the north-west side of Whitsunday Island," the rescue service stated. "This was the exact same place the rescue helicopter landed only seven weeks ago to retrieve another patient who had been attacked by a shark. "A small tender was waiting to transport the Critical Care Paramedic and rescue crewman only a couple of hundred metres offshore to the yacht the patient had been pulled aboard." RACQ CQ Rescue crewman Ben McCauley described the victim's injuries as "absolutely horrific" and the third shark attack he personally attended in less than two months as "just totally unbelievable" and "the worst one yet". "He'd suffered very serious bites, significant blood loss as well as cardiac arrest and when we arrived he was already being treated by a paramedic from Hamilton Island, two off-duty doctors and an emergency department nurse from other nearby vessels," he said. About 20 boats were in Cid Harbour at the time of the attack, Mr McCauley added. The victim was resuscitated twice and transferred by tender back to shore in less than 45 minutes. He was then loaded into the waiting rescue helicopter and flown to the hospital. Mackay Hospital and Health Service was not able to provide further comment late on Monday night. After the attacks in September, baited drum lines caught six sharks in the area, which were euthanised by government authorities. UPDATE, 7pm: A MAN has suffered "significant" injuries in a shark attack at Cid Harbour in the Whitsundays, Queensland Ambulance Service (QAS) has confirmed. It comes little more than a month after two tourists were mauled in the same waters on September 19 and 20. The QAS spokeswoman said the man , thought to be aged in his 30s, had sustained injuries to his leg and wrist in an attack. RACQ CQ Rescue was due to load the man into its helicopter for a transfer to a suitable hospital, likely Mackay Base Hospital or Proserpine Hospital. Tasmanian woman Justine Barwick, 46, and Melbourne schoolgirl Hannah Papps, 12, were both severely injured in shark attacks which occurred within a 24-hour period in Cid Harbour off Whitsunday Island on September 19-20. UPDATE, 6.47pm: RACQ CQ Rescue reports it has been tasked to retrieve a man believed to be aged in his 30s who has suffered an injury to his leg and wrist in a shark attack at Cid Harbour in the Whitsundays. The rescue service took to Twitter at 6.38pm. "En route to Whitsundays to retrieve a male shark attack victim believed to be in his 30s with an injury to his leg and wrist. More to come," the Tweet read. It's believed the man was swimming off a private vessel when the attack occurred, according to 7 News Mackay. INITIAL, 6.22pm: PARAMEDICS have been tasked to a reported shark attack at Cid Harbour in the Whitsundays - a little more than a month after two tourists were attacked in the same waters. Queensland Ambulance Service took to its Twitter feed about 5.53pm on Monday afternoon. "Paramedics are responding to a reported shark attack in waters near #CidHarbour which occurred at 5.37pm," the Tweet read. Phoned for further comment, a spokeswoman for Queensland Ambulance Service (QAS) said the Tweet contained all of the information currently available. A spokesman for Queensland Police Service was also unable to provide any information and directed all queries to QAS. 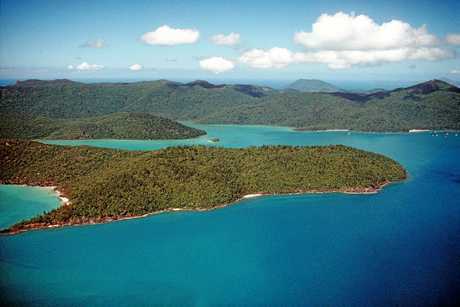 Whitsunday Water Police was unable to be reached by phone. 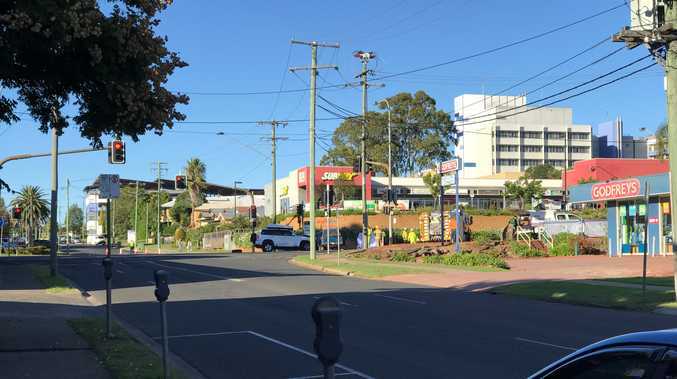 A spokeswoman for Mackay Hospital and Health Service said the hospital had yet been advised to prepare for incoming patients in relation to any attack. The hospital would be contacted once QAS paramedics, or RACQ CQ Rescue personnel, reach the scene and were able to provide an update. RACQ CQ Rescue took to its Twitter at 6.28pm to confirm it was "now responding to a shark attack at Cid Harbour in the Whitsundays". It's expected more information will be forthcoming shortly.